LG has taken the wraps off the LG V40 ThinQ, revealing a huge phone with a gorgeous 6.4-inch display, all the power you could want, and five camera lenses. But is it worth spending your money on, or should you invest in another top-level flagship instead? The Galaxy Note 9 is one of the best phones on the market right now, and also comes with a huge 6.4-inch screen, incredible power, and an amazing camera. Which one should you buy? We compared the two to find out. Both of these phones are equipped with the Snapdragon 845, putting them among the most powerful mobile devices in the world. Both will provide smooth performance across a variety of apps, and will handle most mobile games extremely well. The Note 9 is technically more powerful, with the option for 2GB of extra RAM and a water-cooling system that keeps the processor from overheating, enabling it to perform at top level for longer. The V40 packs a respectable 3,300mAh battery, while the Note 9 comes with a whopping 4,000mAh battery. Oddly though, there’s not a huge difference in battery life. We got a day’s use out of each of these phones, but the Note 9 could possibly go into a second day with light usage — not something we thought the V40 could manage. You’ll find wireless charging on both, as well as fast charging. However, the V40 refills faster than the Note 9, thanks to QuickCharge 3.0 support. The LG V40 ThinQ charges faster than the Note 9, but that’s pretty much the only area where it’s superior. The Note 9 wins this fight with more power and a bigger battery. It’s premium materials all-around here. The V40 and the Note 9 are both made from glass laid over aluminum frames. The Note 9’s design is a touch-up of the Note 8, while the LG V40 is a dead ringer for the V35 and V30. While that benefits the Note 9 — the Note 8 is still a beautiful looking phone — it’s something of a letdown for the V40, which struggles to draw your eyes the same way the Note 9 does. We said it was too subtle in our review, and in this contest, the Note 9 stands out more. You’ll find IP68-rated water resistance in both phones. As both are covered in glass, you will want to invest in a case. We did notice that the lighter weight of the V40 made it feel less solid than the much heavier Note 9. Both phones have excellent designs, and feel great in the hand — but the Note 9 earns the win with a design that’s just that bit more eye-catching. While the notch will divide opinion, the V40’s 6.4-inch OLED screen looks great. It displays a 3,120 x 1,440-pixel resolution, and thanks to the OLED screen tech, blacks look deep and inky, while colors are beautifully vibrant. But LG’s up against a master here, and the Note 9’s AMOLED display is one of the best in the business. The Note’s 6.4-inch display runs a similar 2,960 x 1,440-pixel resolution, and also displays inky blacks and vibrant colors, but you’ll find the Note 9’s screen gets brighter, making it easier to see in bright sunlight. The LG V40’s display is great, but the Note 9’s is better. The LG V40 ThinQ’s headline feature is undoubtedly its five camera lenses — three on the back, two on the front. The three on the back are comprised of a main 12-megapixel lens, a secondary 16-megapixel wide-angle lens, and a 12-megapixel telephoto lens. It’s an impressive lineup, reminiscent of the Huawei P20 Pro, and it adds a certain flexibility to your snaps. However, it’s not perfect, and quality is inconsistent across the lenses, with the primary 12-megapixel lens being superior to the other two. This can lead to a mismatch in quality when swapping between lenses. It’s also plagued by buggy software. By contrast, the Note 9 only has two lenses on the back — a primary 12-megapixel lens teamed with a 12-megapixel telephoto lens. However, Samsung has spent a long time polishing this particular suite of cameras, and it shows in the smooth software and consistent quality across a variety of situations. The Galaxy S9’s variable aperture returns, and the Note 9 debuts an A.I.-powered Scene Optimizer. While both sport similar A.I. optimization, we definitely prefer the Note 9’s results. Video-wise, you’ll be able to record at 4K at 60 fps on both, but there’s no Note 9-style super-slow-motion on the V40. Both are also capable of portrait modes, but we found the V40’s focusing to be extremely unreliable. Both of these phones were marketed heavily on the strength of their cameras, so this category is of supreme importance. Despite the flexibility of the LG V40 ThinQ’s extra two lenses, it’s still let down by inconsistent quality and buggy software. The Note 9’s polished software and incredible low-light camera win here. Despite both phones coming with Android 8.1 Oreo, you’ll find Google’s OS hidden under custom skins. The Note 9 comes with the Samsung Experience UI, and it’s a fairly good UI, with plenty of customizable options. The included apps aren’t bad either, with Samsung Pay and Samsung Health being particularly notable. The V40 comes with LG’s UX skin, and it’s quite good, too, with customizable options and some useful features directly from LG. However, you might find a lot of carrier bloatware, depending on where you purchase your phone. Unfortunately, neither phone comes with Android 9.0 Pie, which is a misstep for both. Both have Pie in the works, but we reckon LG will have the update out first, based purely on past performance. Both phones will get two years of Android updates, so you’ll get Android Q on both, too. Though we prefer stock Android, both phones have good custom UIs. However, LG’s update record is generally better than Samsung’s, and helps it win this round. The LG V40 ThinQ comes with some specials features that you’re likely to find beneficial. Top of the list is probably the Boombox Speaker, which uses the phone’s internal space as a sound chamber and boosts volume, but the A.I. key comes a close second, providing quick and easy access to the Google Assistant. It’s miles better than the Note 9’s Bixby key. That A.I. is integrated to a high level, including the camera optimization and easy access to Google Lens. Bixby on the Note 9 still isn’t great, but the camera’s A.I. is definitely stronger than that on the V40. The Note 9 comes with an improved Samsung DeX mode — just plug in a cable and you’ve turned a simple monitor into a desktop PC. Then there’s the Note 9’s signature feature — the S Pen. This nifty little stylus allows you to quickly access a variety of features, scrawl on the sleeping screen, and capture gifs from videos. But that’s not all — it now comes with a low power Bluetooth connection so it can serve as a camera trigger, a presentation clicker, or a variety of other uses. The V40 has some strong features, but the Note 9 is packed to the brim with extras. The LG V40 ThinQ will start from $900, and is available from most U.S. carriers. 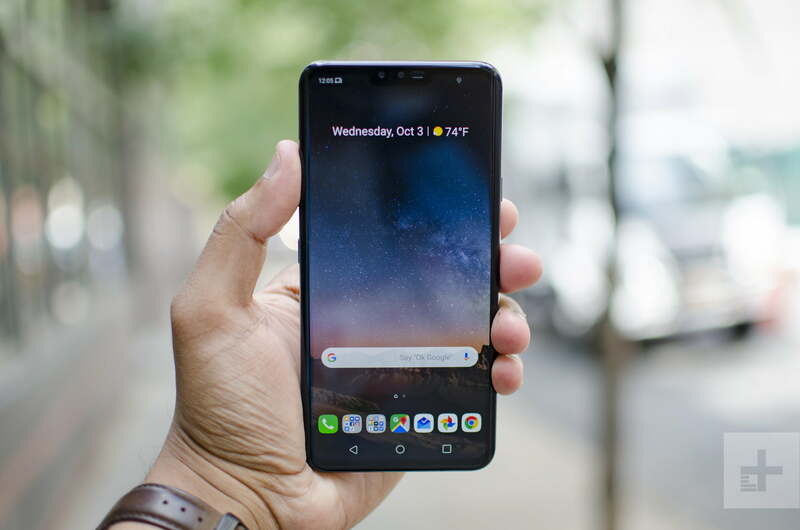 Check out our LG V40 ThinQ buying guide for more information. The Galaxy Note 9 is currently available for purchase, with prices starting from $1,000. 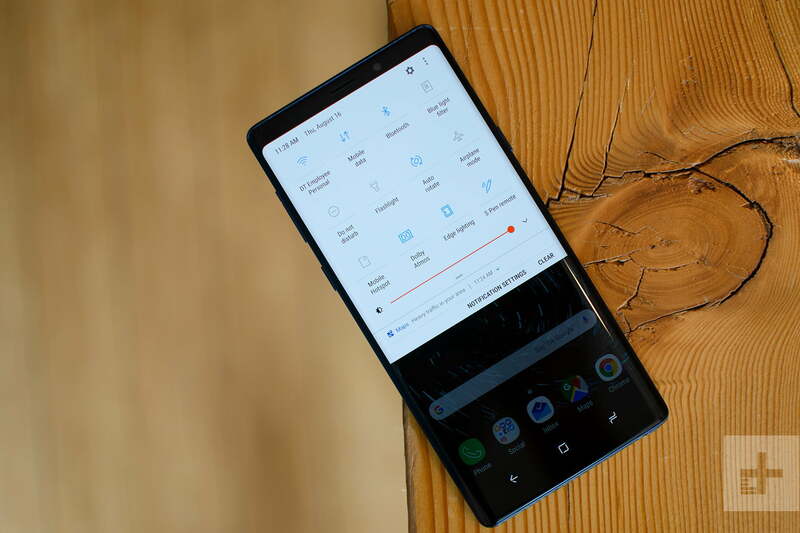 It is also available from most U.S. carriers, and we’ve got the best deals in our Note 9 buying guide. The LG V40 ThinQ is a great phone, but it’s up against one of the most polished phones Samsung’s ever released. It’s that level of polish that wins the Note 9 the crown here. The extra level of features and other tweaks really make the Note 9 stand out against a phone that’s otherwise its equal. The water-cooled processor, the gorgeous design, and the superbly made camera in particular stand out as strong reasons to pick the Note 9 over the V40. With the prices being so similar, it’s hard to find a reason to recommend the V40. It’s a strong phone with plenty to love, but it simply can’t compete with the incredible Note 9 in so many areas.